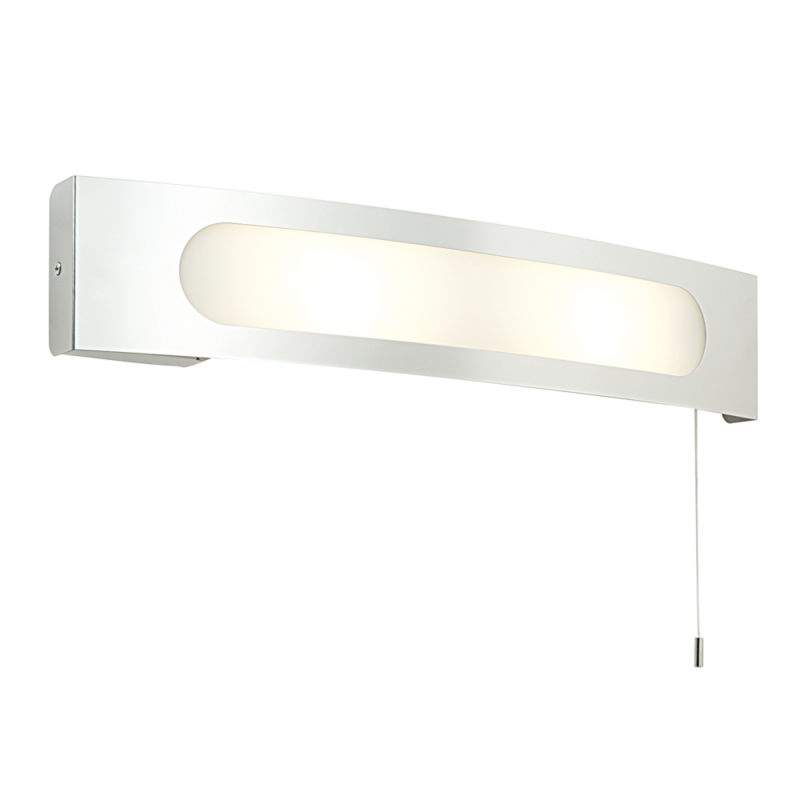 The product is a curved wall light with built in shaver socket, frosted white glass and chrome trim. Functional yet stylish, this shaver light is perfect for the task in hand. 8cm projection x 10cm height x 51cm width. Bulb information: 2 x 25W E14 golf - not included.